For far too many of our students, school is the place where they can depend upon receiving a square meal. During the summer and over holidays, when school isn’t in session, some families struggle to put food on the table for their children. Fortunately, school districts across our state step up to the plate each summer, and provide free meals for these “food insecure” kids and their families. U.S. Department of Agriculture statistics from 2016 show that 16.5 percent of U.S. households with children are food-insecure. A USDA study, Household Food Security in the United States, puts the food-insecure rate in North Dakota at 8.8 percent, or about 28,160 of North Dakota’s households, from 2014-16. 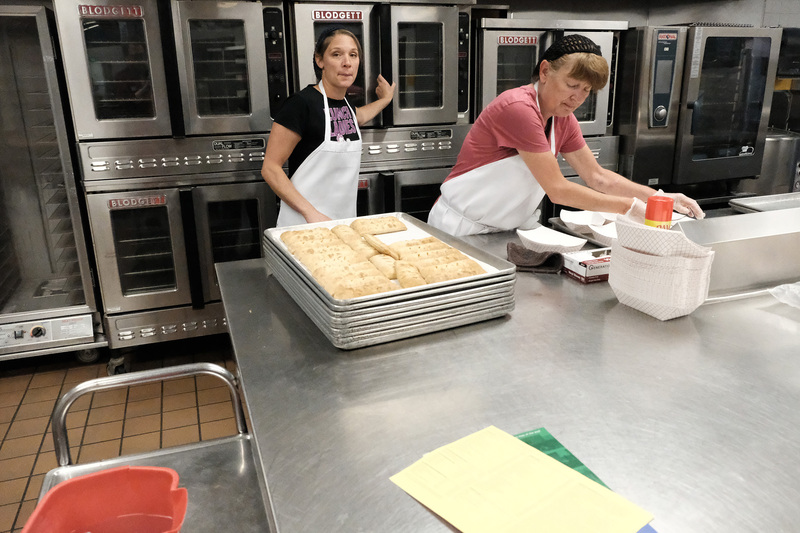 Gina Barbere, left, helps to prepare food for the Summer Food Program in Bismarck at Wachter Middle School. Bismarck Schools has been serving free meals in parks across town for students and families the past four years. This year’s Summer Food Program served lunches at 10 sites in Bismarck from June 4-July 27, excluding July 4-6. 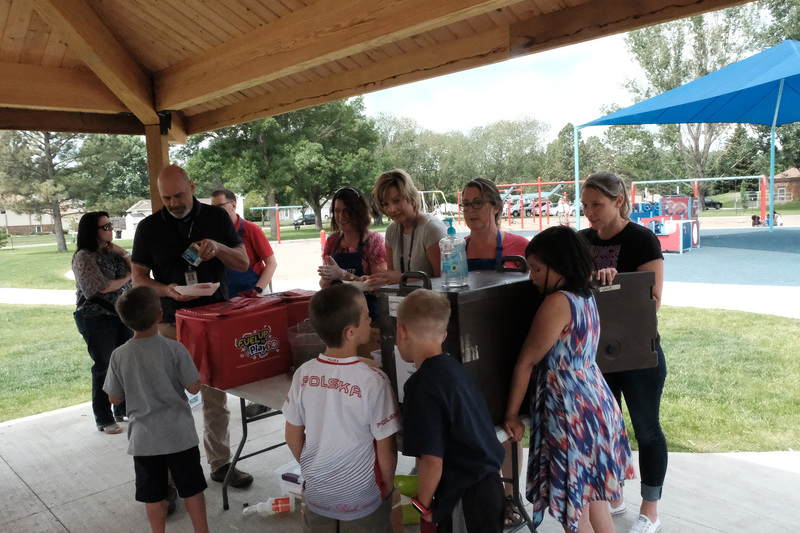 Wagner estimated that approximately 800 lunches were served each day, plus for the first time this year, breakfast was also being served. Gina Barbere, an Assistant Elementary Supervisor and proud “lunch lady” at Wachter, comes into work at 7 a.m. each day and begins to cook 300+ meals for delivery to parks, where students and their families are eligible to eat for free. A $4 donation is suggested for adults, but not mandatory. Gina Barbere assists with loading the truck with food that will go out to needy families in Bismarck, at parks across town. 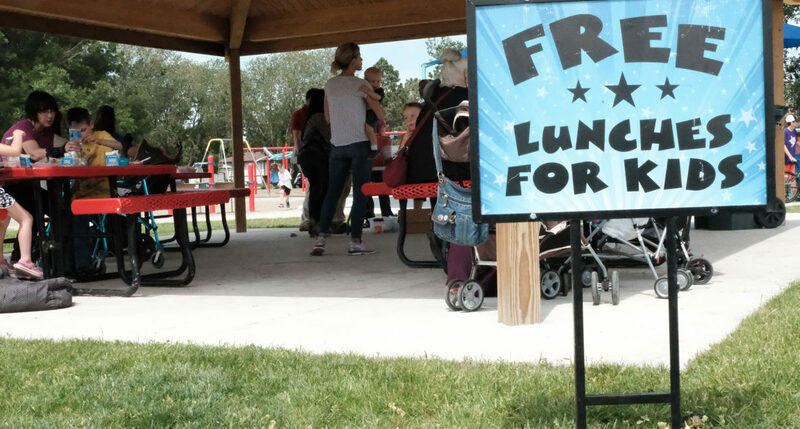 In Mandan, lunches are being served every weekday at Dykshoorn Park in the bandshell from 12:15-12:45 p.m., and in Kiwanis Park from 1-1:30 p.m., through Aug. 3. In Minot, breakfast is served from 7:45-8:30 a.m. and a snack at 11:30 a.m.-12:30 p.m. at Roosevelt Elementary School, from June 4-Aug. 10. Additionally, breakfast, lunch and a snack are served Mondays through Fridays, June 4-Aug. 10 at Perkett Elementary School. According to Melissa Anderson, the Food Distribution Programs Manager for the N.D. Department of Public Instruction, there were 40 sponsors for the Summer Food Service Program in 30 towns and cities in our state for 2018. “Sponsors are school districts, non-profit organizations, churches and city departments,” Anderson said. Volunteers help to serve food to students and families at Wachter Park in Bismarck.